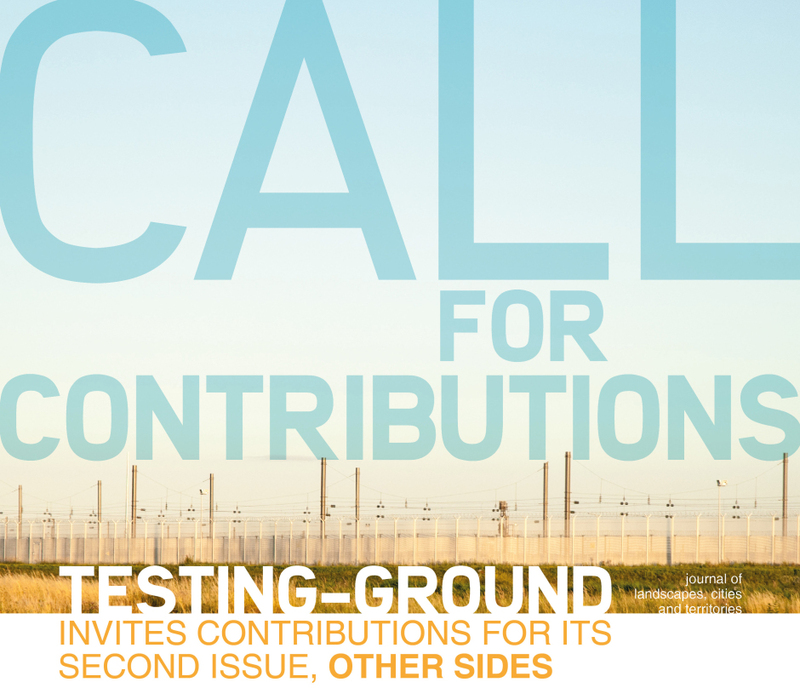 Jens Haendeler and Alex Ioannou will be guest editors of the forthcoming TESTING-GROUND journal issue no. 2: OTHER SIDES. TESTING-GROUND: journal of landscapes, cities and territories, published at the University of Greenwich, is open for contributions for its second issue, Other Sides. What resides on the other side can cause fear, concern, intrigue, delight and fascination. Neighbouring and distant lands are destinations to visit, invade, occupy and separate ourselves from. Many territorial borders are marked with walls and fences or have settled along rivers and ridges of mountains. These socially and architecturally constructed landscapes contrast with cities and towns which unite otherwise separated territories. The second issue of TESTING-GROUND will focus on concepts, structures, devices and spaces which define or integrate difference. Submissions as essays/features between 500 and 3500 words are welcomed from artists, architects, landscape architects, urban designers, geographers, anthropologists, sociologists and ecologists interested in the transformation of cities and landscapes. The deadline for submissions is Monday 30 January 2017. See submission guidelinesfor details. TESTING-GROUND is a design research journal focused on research, experimentation and design of landscapes, cities and territories. It provides a platform to critique established urban theory and a place to investigate emerging architectural, political and ecological concepts. The focus of each issue emerges from collaborative workshops which explore specific ideas and concerns. TESTING-GROUND is published by the Advanced Landscape and Urbanism research group in the Department of Architecture and Landscape at the University of Greenwich, London. The Advanced Landscape and Urbanism research group is a platform for design and research of cities and landscape, encouraging new approaches to research and design experimentation to investigate the everyday and the extraordinary spaces, environments and lives of our cities.